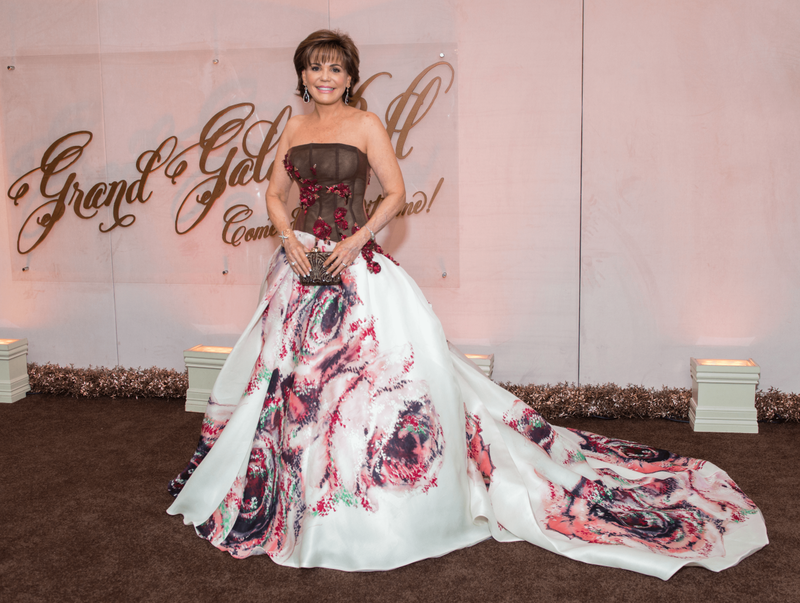 A Grand Gala always calls for some grand gowns. 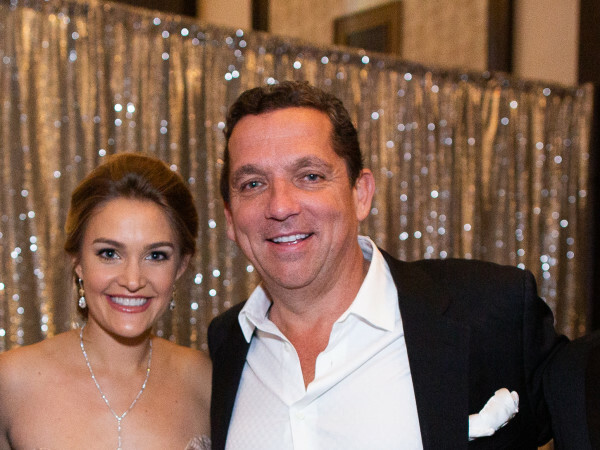 That was certainly the case at the recent Museum of Fine Arts, Houston, Grand Gala Ball that heralded the start of the fall social season. 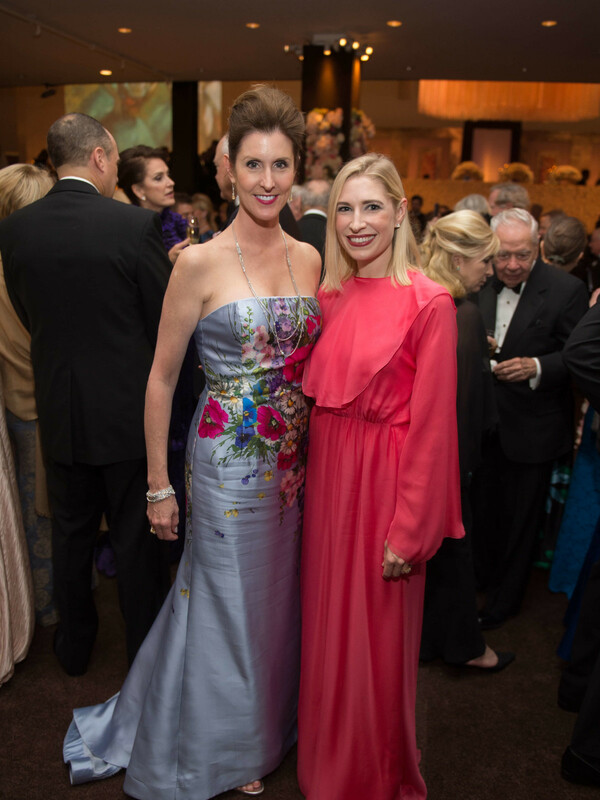 The ball saluted the great French impressionist painter Edgar Degas and a number of museum supporters got into the spirit of the occasion with artistic ball gowns that we think he would have loved. Here are some of our favorites. Hallie Vanderhider's Monique Lhuillier gown with billowy floral skirt and train is an entrance maker. It was the grandest gown of the grand evening. Phoebe Tudor gave a nod to the artistic spirit of the evening in a strapless Oscar de la Renta gown with floral embroidery while Isabel David stood out from the pack in a long-sleeved red Valentino gown. 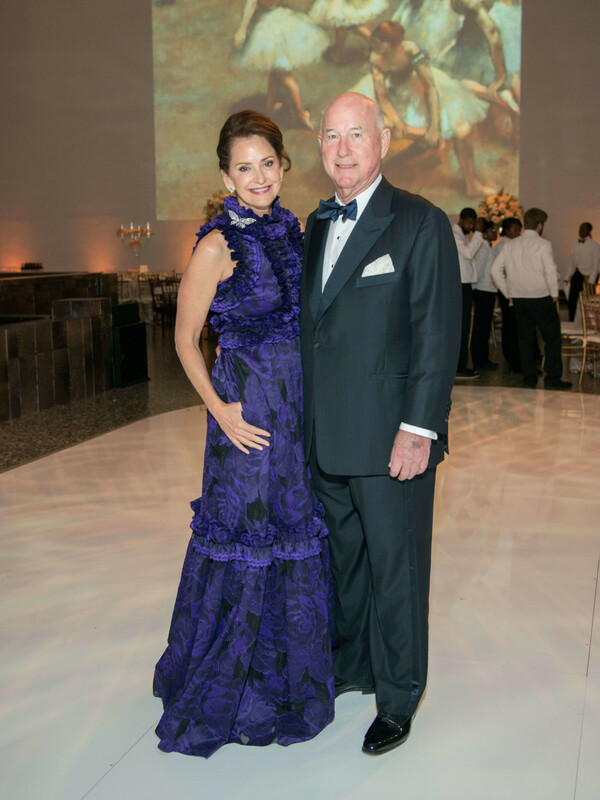 The always chic Lynn Wyatt added a pop of color with a green clutch to her custom-made vintage Yves Saint Laurent black gown with lace sleeves. "I'm just glad that it still fits," she quipped. 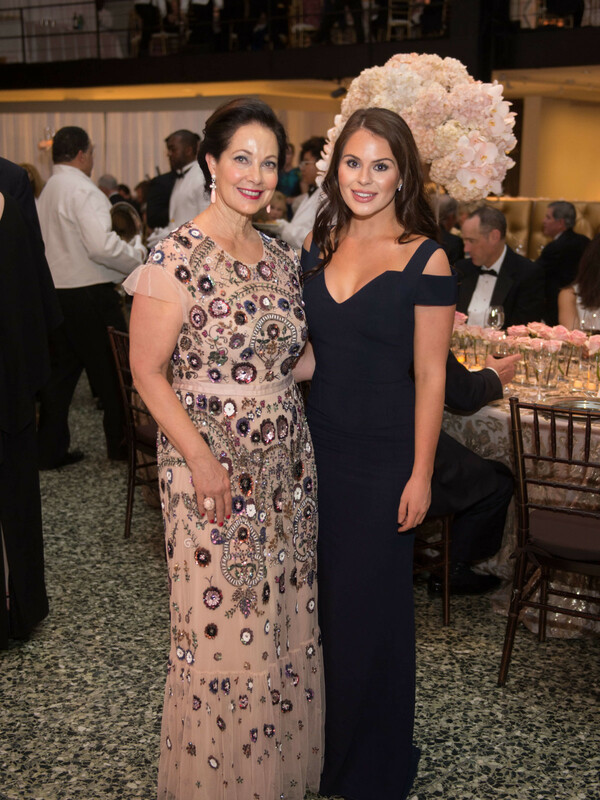 Martha Long in a brown satin Kaufman Franco gown with an interesting cutout neckline, Amy Purvis in a form-fitting creme Donna Karan gown, and Aliyya Stude in a pleated metallic gold and black skirt and embroidered black lace bodice all lent a cool fashion vibe to the evening. 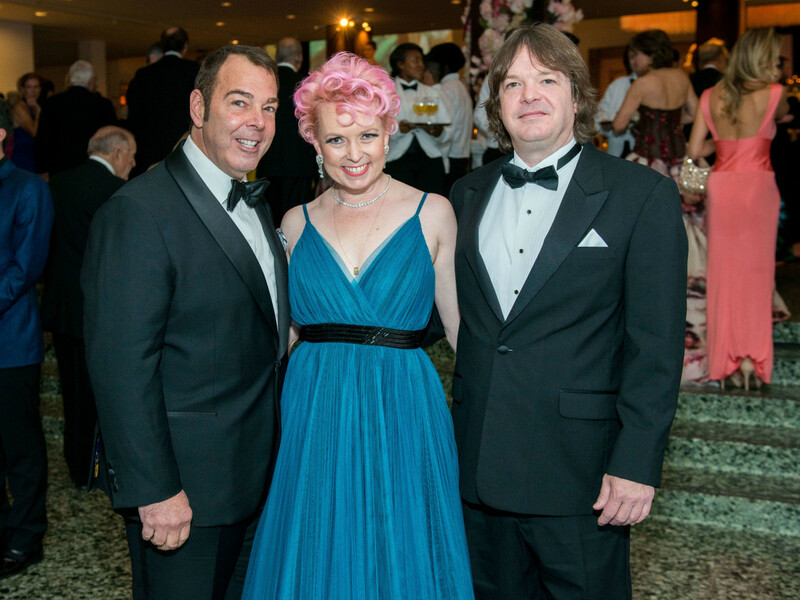 Diane Lokey Farb shone in a sparkling gold embroidered and tulle Oscar de la Renta gown. Mia Yu looked fashion forward in a Sachin + Babi evening dress with uneven hemline and arm adornment. Carol Linn exuded a regal vibe in a forest green Monique Lhuillier gown with a shoulder-baring neckline; Ileana Trevino was among those who got in the artistic sprit with a brush-pattern floral skirt and black V-neck blouse. Natasha Oliver looked smashing in a white Mac Duggal lace halter gown. 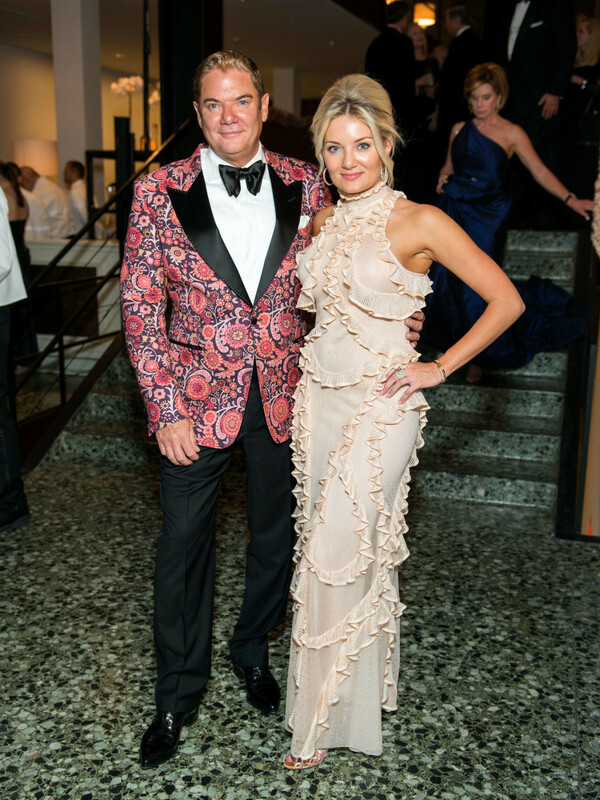 Pat Breen's looked glamorous in a strapless blue gown with black circular detail, designed by Oscar de la Renta's Peter Copping. Krystal Thompson's gown by Jay Godfrey stood out for the interesting racer back bodice detail in various shades of green. 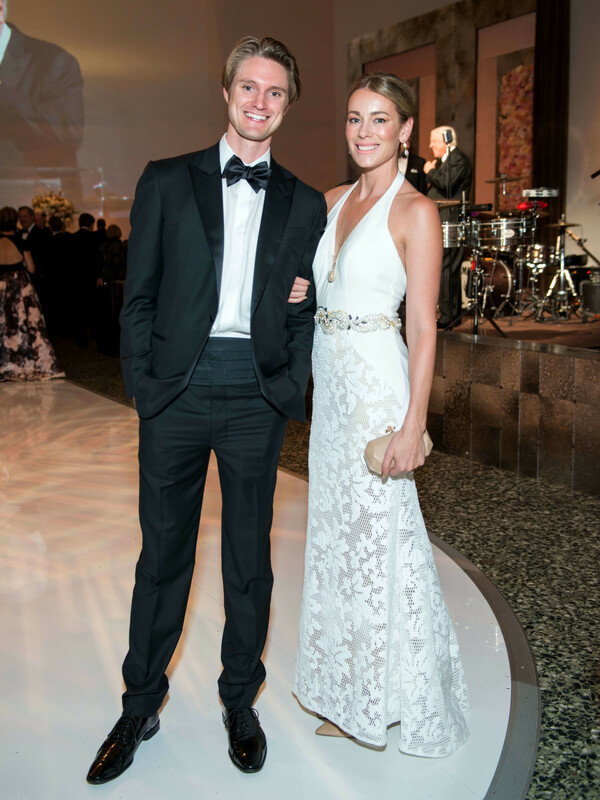 Lucinda Loya lent a stylish vibe to the evening in a dark gray Marios Schwab gown with illusion sleeves. 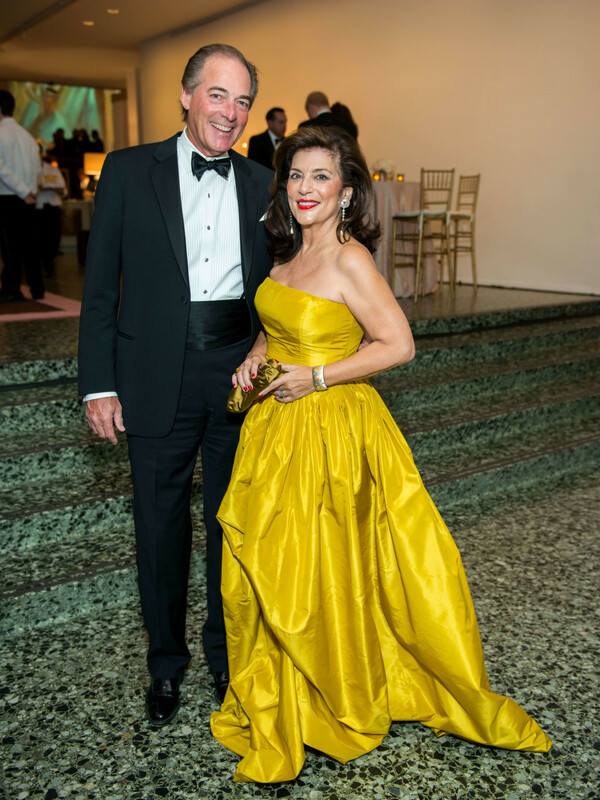 Dancie Ware looked as good as gold in this classic Oscar de la Renta gown. 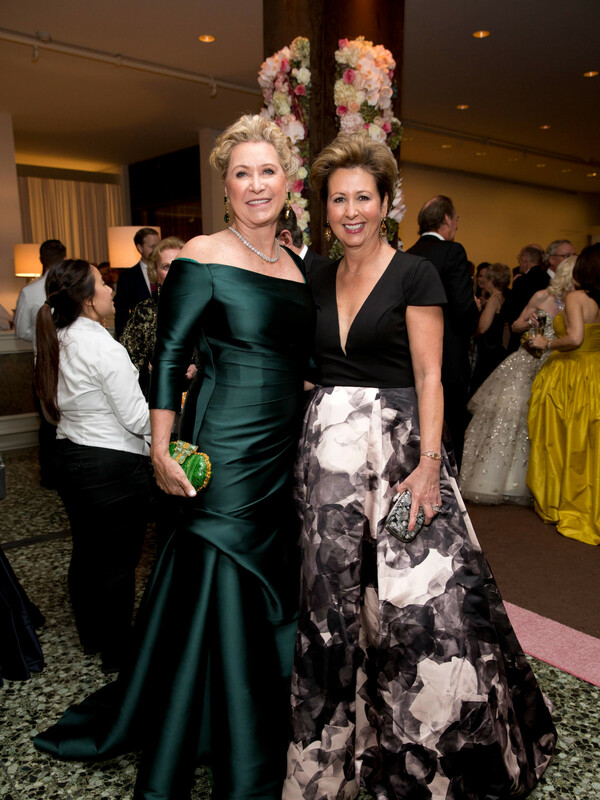 Two trendsetters: Sima Ladjevrdian in a form-fitting green halter column gown in the color of the evening and Martha Britton in a black cocktail dress that ended at mid-calf. Karol Barnhart sparkled in a beige gown with an overlay of sequined circular appliques. 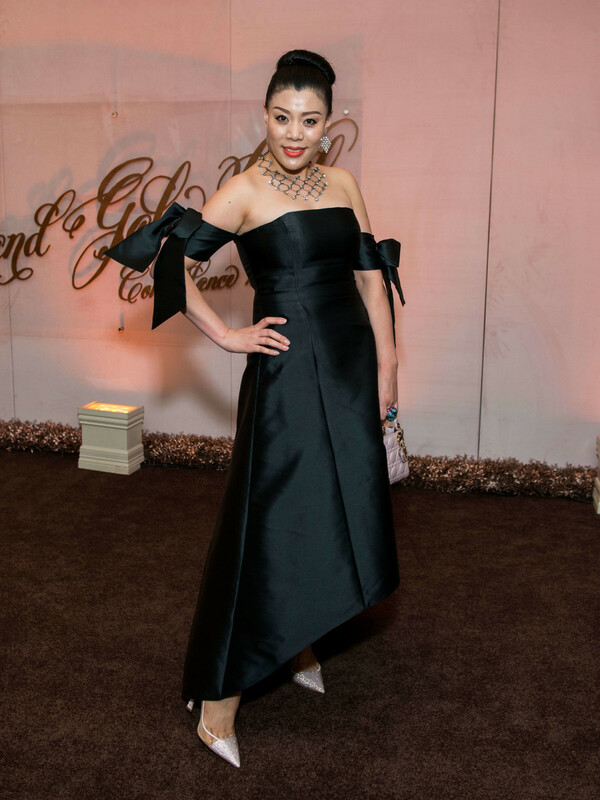 Meredith Flores was among the most stylish women at the ball in a chic black cold-shoulder gown. The always fashionable Vivian Wise stood out in a V-neck Dior gown in a lovely shade of blue. 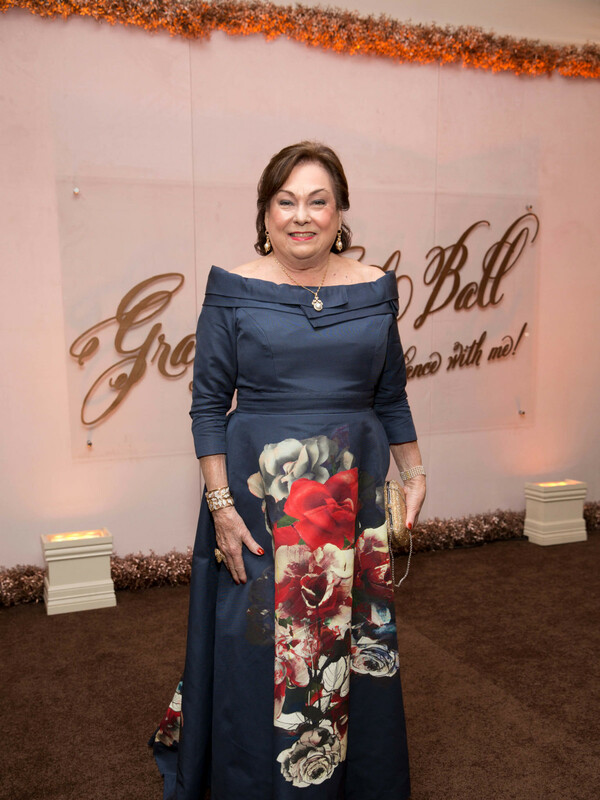 Rose Cullen also joined in the artistic spirit of the occasion with a scoop neck Carolina Herrera gown featuring a skirt with an artistic floral print. Maya Fasthoff looked beguiling in a black gown with silver insets. 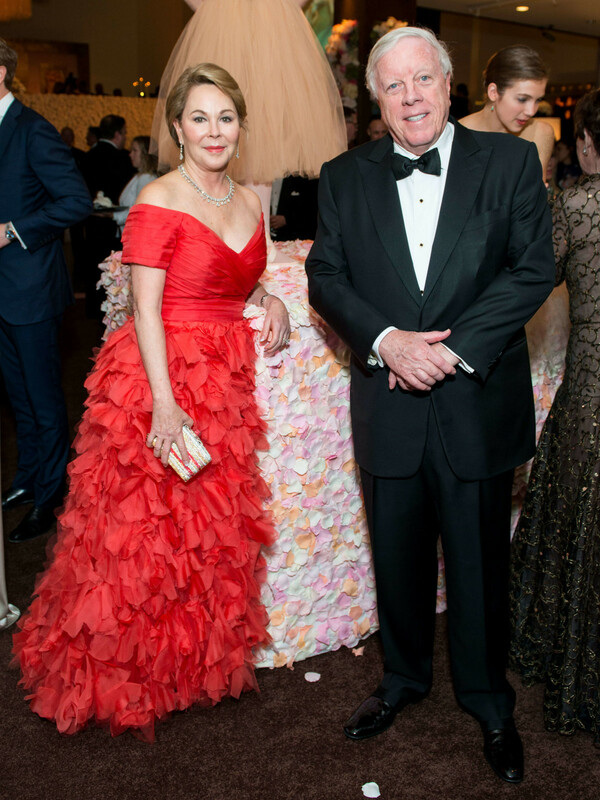 Nancy Kinder was a lady in red at the Grand Ball in a shoulder-baring gown. 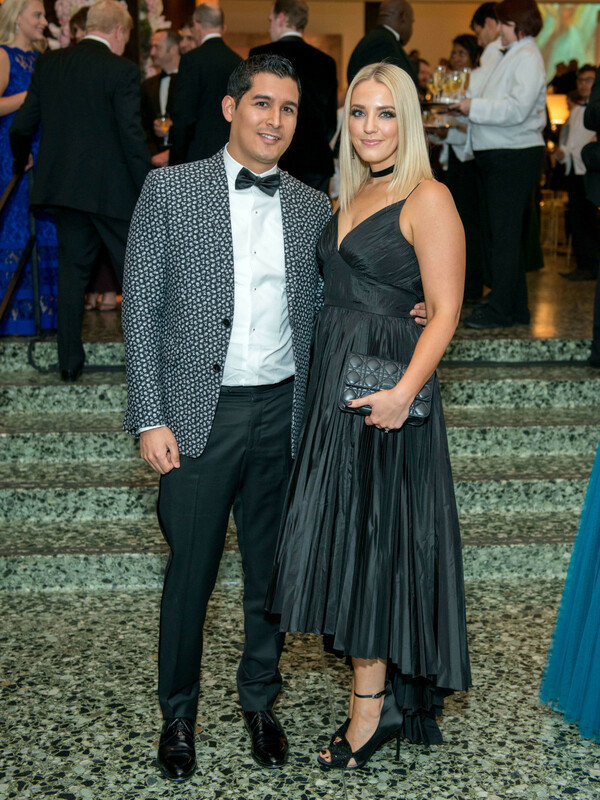 Laurie Morian, who co-chaired the gala with her husband, Reid Morian, chose this Erdem gown in a gorgeous purple color. 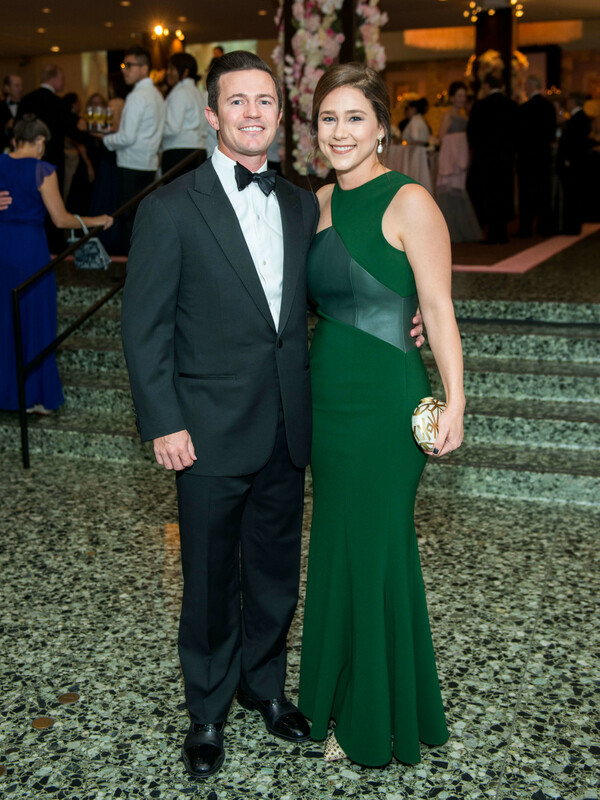 Holly Alvis continued the all-black gown trend of the evening in this Mason creation.